Proceeds of Cups Sales Are Donated To Potters For Peace! 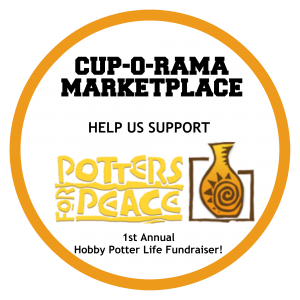 The international Hobby Potter Life group has come together to help Potters for Peace by handmaking and selling cups to financially support this non-profit organization and their “clean water” efforts in developing countries! Below are cups made from around the world by our giving group members for our annual fundraising event held in October & November! * Each potter selling directly and will be making their donations individually. * Photos link directly to an online shop, to a potters contact information. Handmade cups will then be shipped to their location. *Please be aware that cups may be located outside your country and appropriate shipping charges may apply. >JOIN IN THE CUP MAKING!